This week's challenge involved using only straight lines...no curves, no swirls. 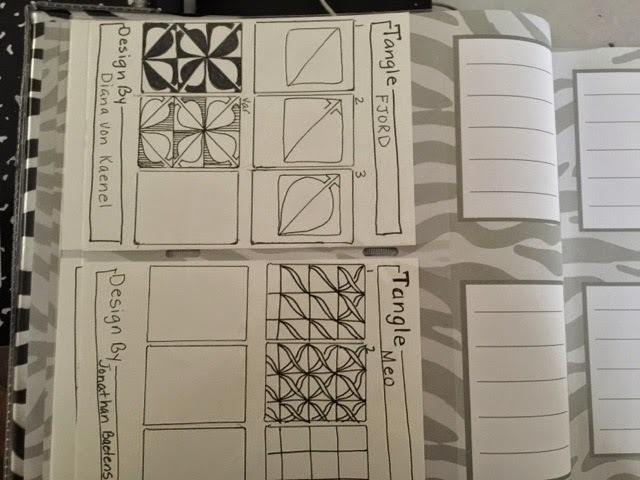 So I went to my Zentangle organizer which is a photo book where I keep my Zentangle cards. I organize my cards by categories (fillers, grids, accents, borders). On each card, I write the name, the steps, who created the pattern. Sometimes, I draw variations on the back. I don't have cards for every pattern, just the ones I really like. I also tried to create a digital book using Penultimate and Evernote (apps on my IPad) but I like the tactile nature of the cards. So in my book, I found a few patterns I liked. I knew I wanted something in the center and bold patterns around it. I ended up using the pattern Maryhill in the center and Flukes and 'Brella around it. Flukes (the one that looks like roof shingles) is one of my favorites. I just love that with a bit of shading, you can make it look 3-D. 'Brella is new to me and I like how bold this variation is. After finishing, I thought perhaps the Maryhill should have been a bit bigger. Other than that, I'm happy with the way this turned out. 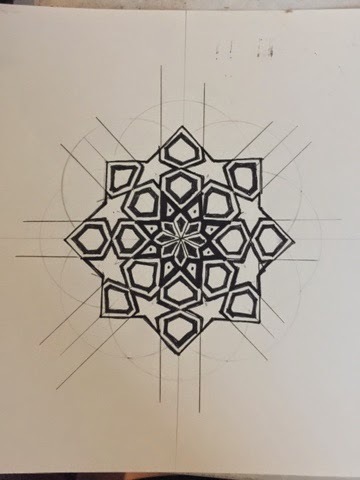 I'm also working on a new Islamic Geometry art. This one may take me awhile! I was in Little Rock, Arkansas last Thursday through Sunday for my nephew's graduation so I didn't get to work on my art journal. 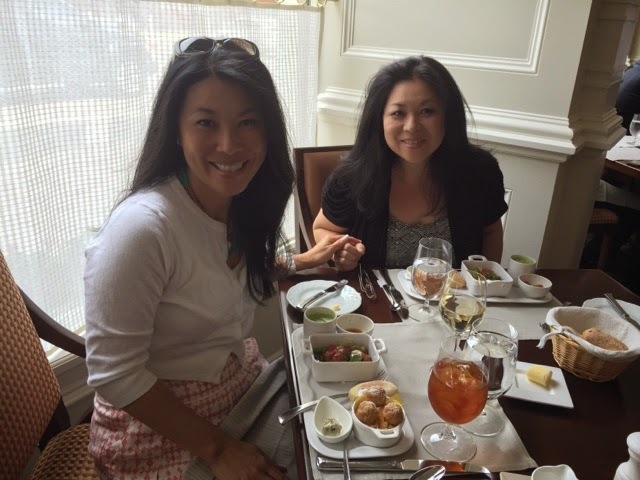 But I did have a great time with my mom, my sister and her family. 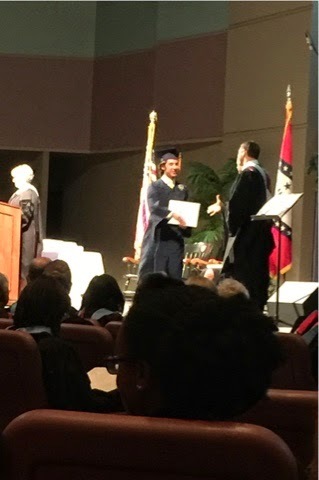 I'm very proud of my nephew who will be attending the University of Arkansas in Fayetteville. 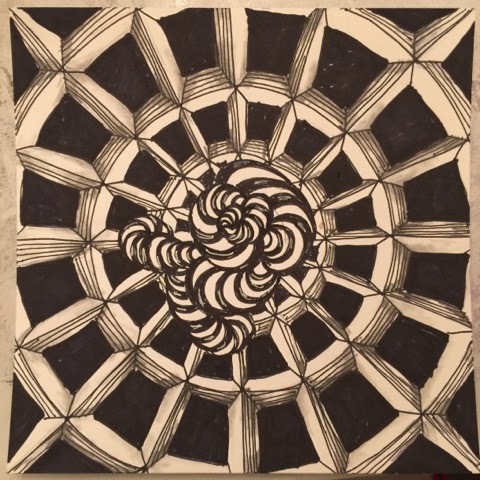 I am posting a couple of challenges in this post along with a new to me form of art. The picture you see above is for Diva's Challenge #218. This week's challenge was to create a white on black tile. I started with Isochor (top left) and added Flux, and Shattuck (and Printemps. 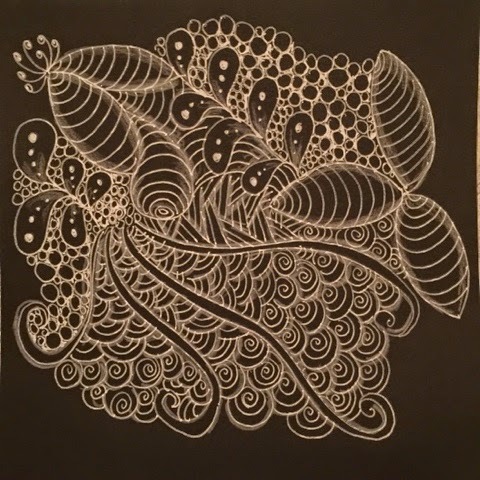 I used a Sakura Gelly Roll (white) on Black Artist tile by Strathmore. I tried to shade with a white coloring pencil but I'm not sure if they show up. This is only my second attempt at white on black. 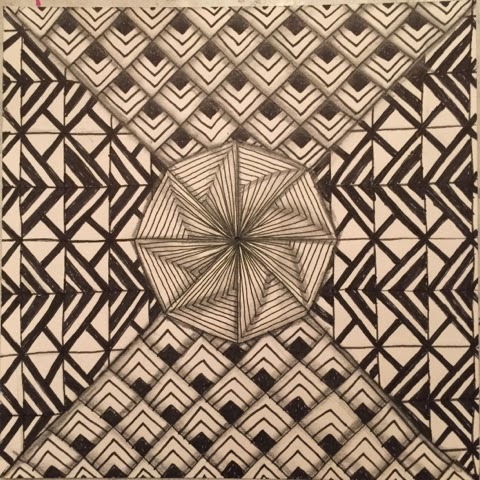 I also tried doing Darcy's Weekly Challenge #6 which was to use P-Q-R patterns. I used Pozer, Quandry, and Rixty. I feel like I cheated a bit as I did not use Rixty very much. I don't normally color my tangles but I felt as though this needed color. I've always found Quandry to be a difficult pattern but not this time. 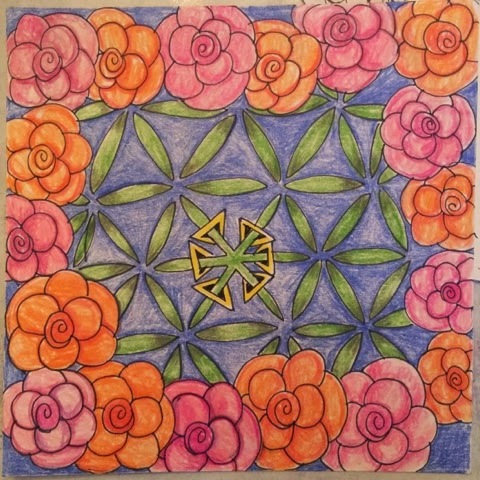 On Monday, I was browsing YouTube looking for a tutorial on mandalas and I found a few videos on Islamic geometry art. I taught geometry many years ago and remember constructing various polygons with a compass and a ruler. But this is incredible! After several tries, I was able to create the structure above. I actually made a mistake so I didn't create what I had intended but I like the resulting structure. What is so incredible about the Islamic Geomtry Art is that with a compass and a ruler, you can create so many different structures you see in Islamic art and architecture. I think I will be trying more in the future. 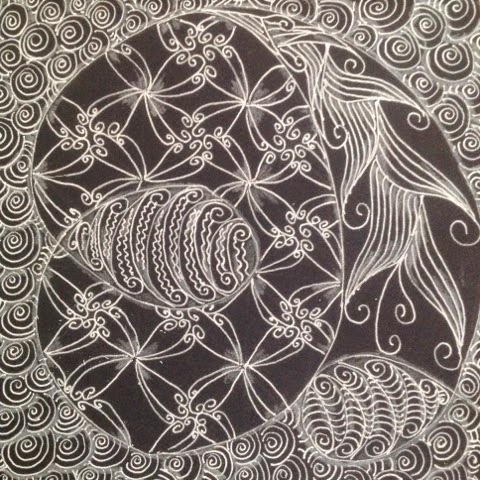 The appeal of Zentangle and Islamic geometry art is that they satisfy both sides of my brain. 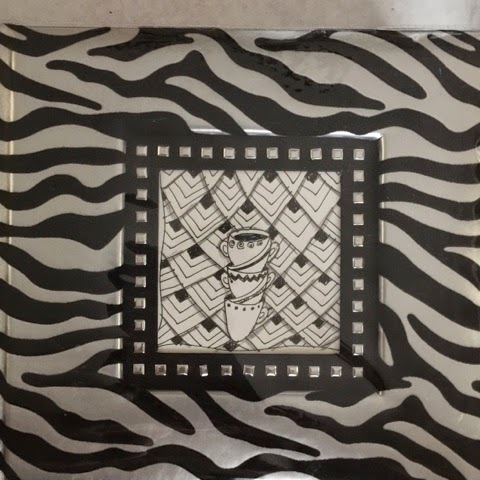 When you see a zentangle tile or these geometric art structures, you are drawn to them because they are beautiful and intricate. But creating them takes both your analytical and artistic skill. I have to do more research on brain hemisphere and how that affects the art you create. Hope you have a great week. 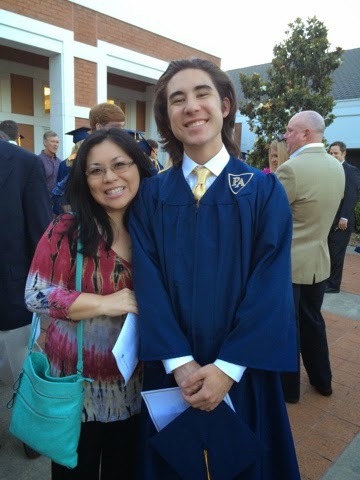 I need to pack up because I am headed to Little Rock, Arkansas for my nephew's graduation! Very exciting! 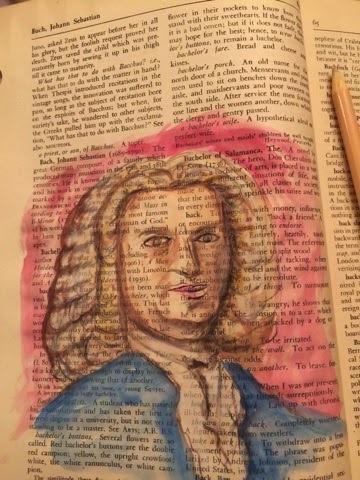 I recently joined a Facebook group called Dictionary Art. 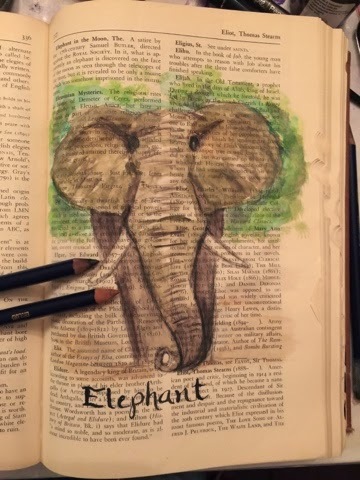 As you might guess, you draw on dictionary pages. 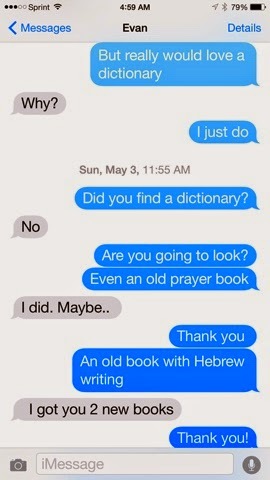 Most are finding vintage dictionaries at garage sales and some on eBay. 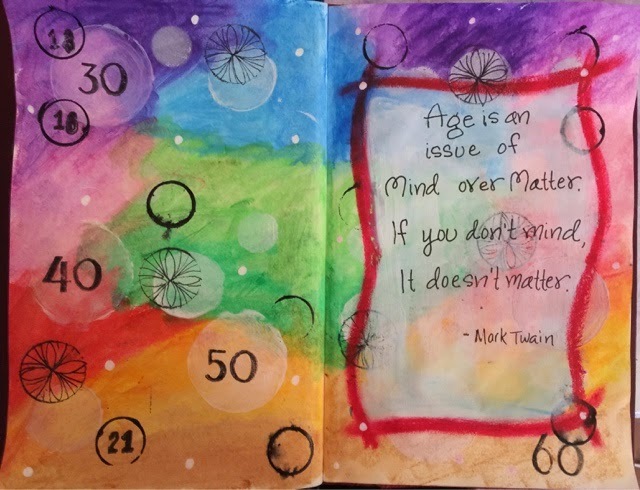 And most vintage books are hardcovers, it makes a nice art journal. Basically, you just choose a word on a page and draw and color. And when I picked him up, he gave me two books, neither was a dictionary, but close enough. 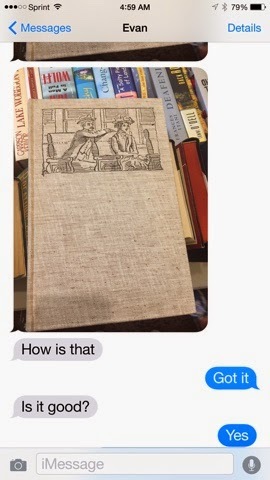 He picked up a Reader's Encyclopedia. It is alphabetical, but the words are related to literature. It just means that I have to be creative to find words I can draw. I find myself working on this when I can't sleep, like tonight. 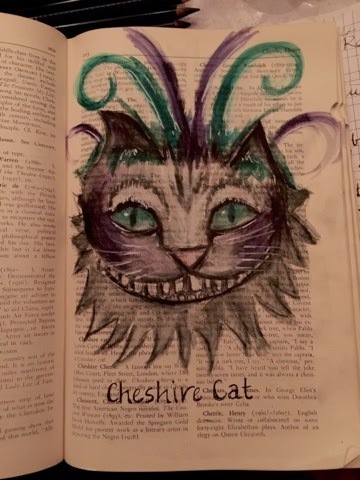 The Chesire Cat was started at 3 a.m.
My first piece was drawing J.S. Bach. Coloring on an old, thin page is not easy, especially when using a wet medium like inktense. I couldn't blend well, and ended up ripping the paper in some places. I should have prepped the paper first with either matte medium or clear gesso. My second piece, I prepped the paper with clear gesso and used Crayola Slick Stix to color. 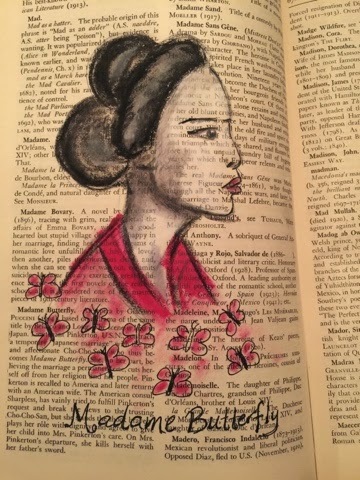 Madame Butterfly is one of my favorite operas by Puccini. And I found a reference photo online. I love how vivid the red is on this piece. Using the clear gesso strengthened the paper, and allowed me to blend without damaging the paper. The Slick Stix are like gellatos, creamy and highly blendable dry or wet! I went back to my favorite inktense for the next two. These are all quick sketches. 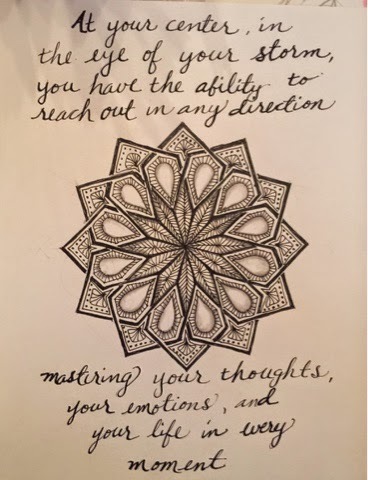 It's fun, and it's a great way to practice your drawing skill. I would like to do a graphite drawing and a pen drawing someday. 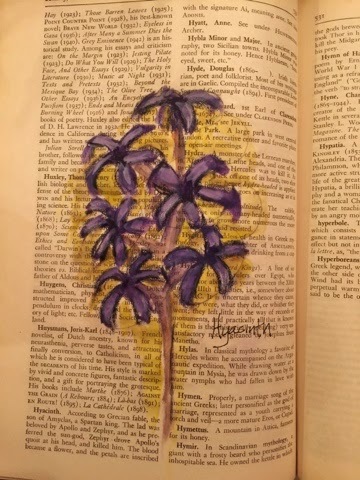 So next time you're looking for something to do, grab a dictionary and doodle! 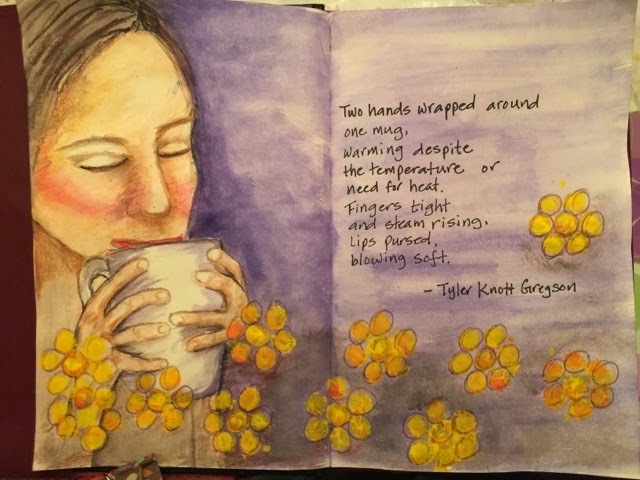 I was introduced to the work of Tyler Knott Gregson about a year ago from my friend, Mel. He is a contemporary poet whose words become an image in my mind. You can find Mr. Gregson's work here. 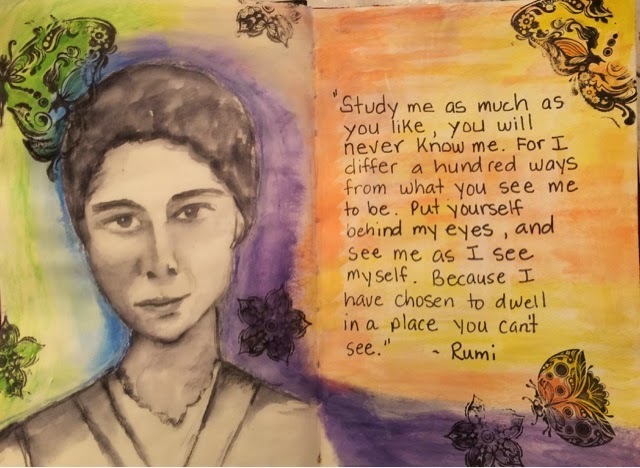 The art journal entry you see above is my latest. Of course the first thoughts I had after reading the poem was the joy and anticipation of sipping that first cup of coffee. I started this piece in sepia tones but I actually kept seeing the colors purple and yellow. So I had to add them. This is the first time I had colors insisting they be used. Perhaps I'm losing it if I'm having a conversation in my mind with colors. Adding purple was easy, it's a striking background. But yellow? So I just went with easy. Used a bubble wrap to crest simple flowers. This is a piece I did months ago. I saw the poem on Mel's timeline on Facebook and immediately fell in love. And I saw a basic image of a woman's face with gold cracks. I had done two of my Woman of Wisdom series already by then so the hair was influenced by that. I usually like to write the words out by hand, but for this one, I did it digitally. This is also a piece I showed publicly at out Temple art show. Here's what I wrote about this piece for the show. 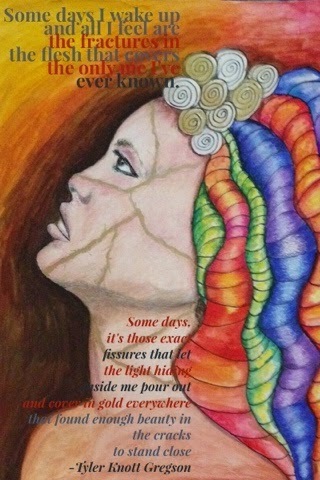 This piece was inspired by a quote from Tyler Knott Gregson and a Japanese art of mending broken pottery called Kintsukuori. Kintsukuori is a process by which gold or silver lacquer is used to repair broken pottery with the belief that the piece is more beautiful for being broken. Many of us are broken, put together with love and understanding. And we are all beautiful for surviving. Do you have a favorite poem or a poet? This is a journal spread in my brand new journal. 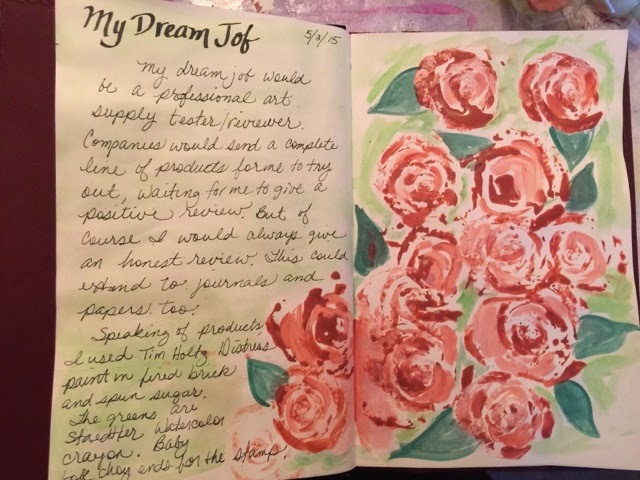 This journal is special to me because it was a gift from my husband for my birthday. 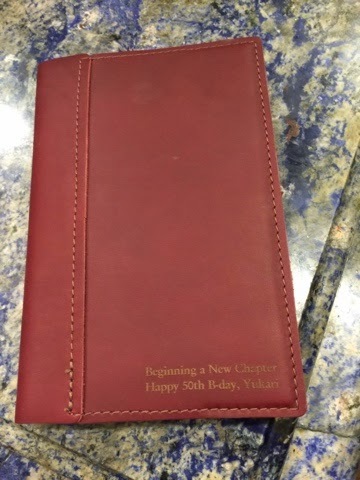 It is a leather bound cover with a blank sketchbook inside. It's a beautiful book and I was totally overwhelmed. My husband had always been supportive of my hobbies and interests. He has never complained about all the supplies I've accumulated. But he has never really had much interest in what I do. So this was totally a surprise. And my kids even got me a gift card to Michael's! 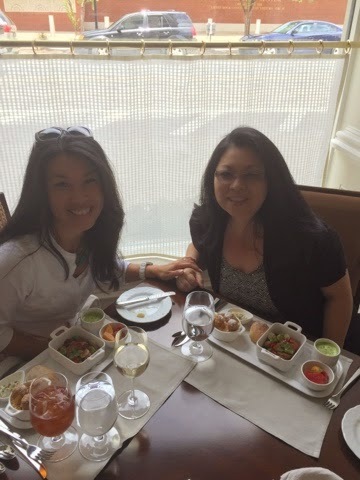 I felt so cherished (borrowing my friend, Brad's word). 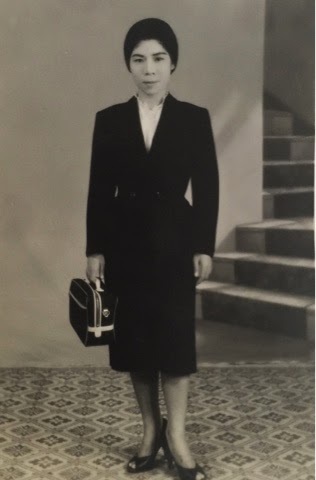 I felt that my family was valuing and honoring my passion. So back to my art above. I may be obsessing a bit about my age. Maybe I'm going through a mid-life crisis, who knows. I don't feel any different than I did a few days ago, maybe a few more gray hair, but nothing noticeable. But it's a mind set. I can't get sucked into thinking I'm somehow less than I was before. And it's nothing others are making me feel this, it's all in my mind. I guess that's why I liked that quote by Twain. So enough, already. No more talk of my age! The next piece I did in my new journal was a response to a journal prompt from a Facebook group, Fauxbonichi Journalers (check us out!). What is my dream job? Well, that's easy! I'd like to be a professional tester of all things art supplies! Companies would sent me a complete line of their new products, and I'd get to try them and review them. Lol. For this piece, I used the ends of a baby bokchoy we had several days ago that I had saved as a stamp. Using some acrylic paints, I stamped the flowers and filled in the flowers. The leaves and the background wash was done with Staedtler watercolor crayons. I'm going to enjoy using this new lovely journal. What was your favorite or most special gift you've received?